It was a busy day at Casino Stadium with APT Tokyo Japan 2019 seeing three events on the floor simultaneously. Under the spotlight was none other than the Main Event with 65 runners battling it out in Day 1B. At the side events, Chinese player Jin Bo dominated taking down the No Limit Hold’em 1 and the No Limit Hold’em Turbo 1. Day 1B wrapped up with 19 players remaining out of the 65 entrants. 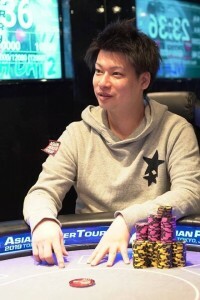 Masahiro Kikuchi emerged as the day’s chip leader with 199,000 in chips. Trailing very close behind was Takumi Matsuzaka with 197,800. With two starting days completed, 32 out of the 117 entrants have advanced to Day 2 taking place on Sunday, February 10. The last starting day – Day 1C – takes place on Saturday, February 9. Undoubtedly the player of the day was China’s Jin Bo. He rose above the final 8 players of the two-day No Limit Hold’em 1 event then proceeded to ship the No Limit Hold’em Turbo. For his first victory, he defeated Yuki Arikawa at heads up. 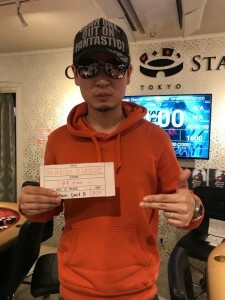 The final hand had Jin Bo behind with K♣ Q♣ over Arikawa’s A♥ Q♠, however when the community cards landed 5♦ 2♣ 6♦ K♠ 7♥, it was a pair for Jin Bo to capture Event #2 of the ongoing series. This was Jin Bo’s first-ever APT title. 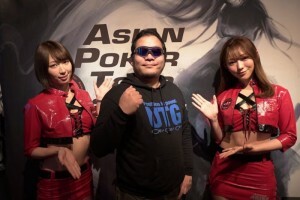 He topped a field of 46 entries and was awarded an APT Philippines 2019 Main Event ticket worth JPY 120,000 and 4-night stay hotel accommodations worth JPY 40,000. For runner-up Yuki Arikawa, he secured himself an APT Philippines 2019 Main Event ticket worth JPY 120,000. Entering the day at the helm of the final 8 players, Shigeho Yoshioka settled for a 3rd place finish. He was awarded an APT Philippines 2019 Side Event ticket worth JPY 50,000. And rounding out the top four places was Ryosei Kuramoto. 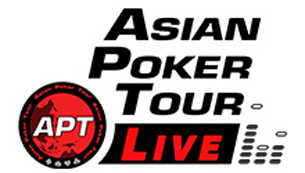 He claimed the last prize offered for this event, the APT Philippines 2019 Side Event ticket worth JPY 30,000. Riding on his victory high, Jin Bo jumped into the turbo event and stunned the 33 player field to seize back-to-back titles. That’s an incredible to wins in a single day. 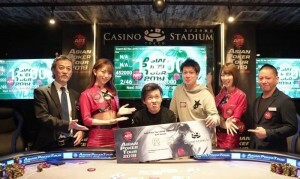 He was awarded another APT Philippines 2019 Main Event ticket worth JPY 120,000. For 2nd placer Junya Kubo, he earned an APT Philippines 2019 Side Event ticket worth JPY 60,000. And to round out the top three winners was Daisuke Sawada. He was awarded an APT Philippines 2019 Side Event ticket worth JPY 30,000.